We need YOUR voice as we engage in deeper conversations toward discerning Advent's mission and vision for the future. Listening Small Groups are spaces for the Vision Team to listen and learn as we engage in deeper conversations about faith, life, and Advent. In our groups, we hope to discover new insights about our congregation, community, and ministry here. 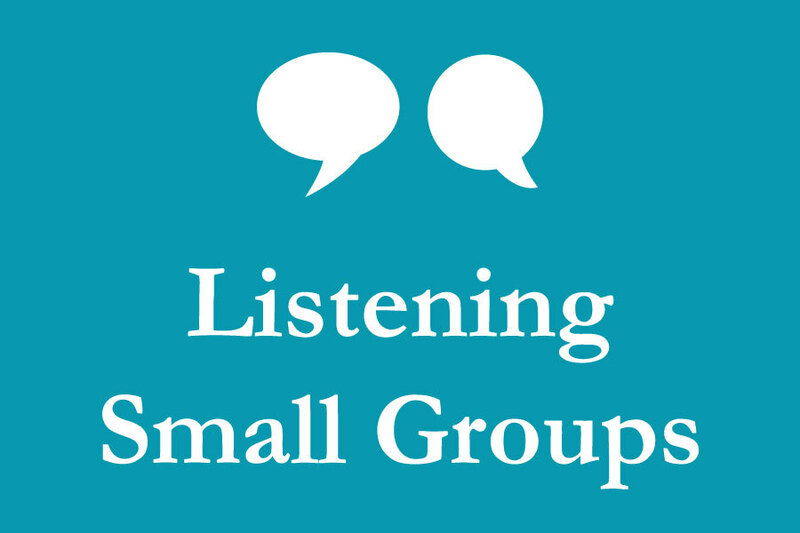 We'll have two rounds of Listening Small Groups, March 24 - April 13 and April 22 - May 12. Please sign up for one of these times in Round 1. If none of these times work for you, the signup link below also includes a space to suggest another time. We'll do our best to make it work! We hope you'll join us for a Listening Small Group as we continue our journey exploring Advent's shared mission and vision together. The idea of giving ashes on a cold Wednesday morning for two hours seemed a little out of my comfort zone. But if there’s anything we have learned from the disciples, it's that the mission of the church requires us to go out of our comfort zone . . .
+Lenten Daily Devotion: Our Lenten Daily Devotion this year has daily reflections and practices that take you deeper into our Lenten theme day by day. Download our Daily Lenten Devotional in English or in Spanish. +Discipleship Groups: Discipleship groups are starting this week. We have 6 groups meeting across NYC to explore their discipleship journey. Raise your Voice this Sunday! Join an open rehearsal for our intergenerational choir, One Voice Singers, at 10:20am in the sanctuary and sing with us at 11am worship. All singers welcome! Get to know other young adult professional in our congregation this Sunday at brunch following 11am worship. All are welcome! We'll gather at the back of the sanctuary after 11am worship, and head to Pio Pio nearby for a delicious Peruvian brunch! Join us for a weekend of spring cleaning and light repairs at Advent. There will be something for everyone. Organizing, cleaning, de-cluttering, painting, fixing, and more! Join us in keeping our space beautiful, functional, and organized. Click on anything that interests you to learn more! Our Coffee Hour at 10am and 12pm every Sunday is the ideal place to get to know new people at Advent. Come join us for coffee, baked goods, and conversation before or after worship every Sunday, and get to know more people at Advent. And please consider bringing a treat to share! If you find any joy or good news here, please consider further supporting the work of Advent Lutheran, with a recurring donation or single donation. We can do more together.